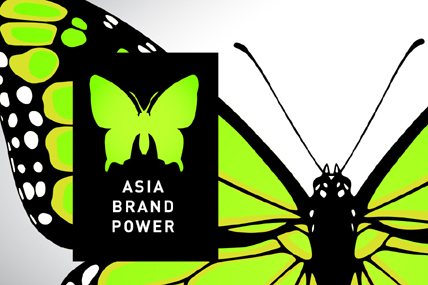 Kantar Worldpanel, the world leader in consumer knowledge and insights based on consumer panels, recently launched its Asia Brand Power 2015 report. It is the first study to chart the shift in the competitive landscape of Asia’s FMCG market, where in local brands are asserting their dominance over their global rivals. Covering 9 countries, the report features exclusive interviews with CEOs of 11 Asian home-grown giants (Monde Nissin, YFY, Godrej, Ichitan, Aekyung, Mayora, Marico, Rebisco, Vinda, Masan Consumer Corporation and SanQuan Food) and identifies the five common ‘power levers’ that drive their growth. Kantar Worldpanel has also identified the top 10 Asian brands that grew their penetration the most within their home market in the last year. These brands gained an average of 5.4 million new shoppers over the year. *Analysis of the top 50 most-chosen brands in 9 Asian countries. The Asia Brand Power 2015 report also highlighted that the power of local brands is strongest in food and beverages categories, where they have claimed 85% of the Asian market through their ability to cater to the local palate. As a result, they lead in the many categories that are uniquely popular in the region, such as coconut milk, ready-to-drink tea, soymilk, seasonings, table sauces (e.g. fish sauce, oyster sauce, soy sauce) and instant noodles. Biscuits and snacks are also largely dominated by Asian brands. The same observations are evident in the stories of Filipino brands Great Taste, Monde Nissin and Rebisco, which are all featured in the Asia Brand Power 2015 report. A long-standing brand in the Philippines, Great Taste was the first to launch 3-in-1 coffee mixes locally in 2005. After its successful sales performance in 2014, Kantar Worldpanel named Great Taste the fastest growing brand in its 2015 Brand Footprint study owing to its 32-percent increase in sales. Meanwhile, Monde Nissin was able to reach 98% of Filipino households in 2014 with its Lucky Me! brand. The popular instant noodle emerged as one of the top most chosen and most purchased brands in the Philippines in 2014. In the Asia Power Brand report, Rebisco, one of the country’s largest biscuit and snack manufacturers, also shared how they ‘Filipinize’ their products based on their understanding of the consumers’ insights and preferences. Because of this, the 50-year-old brand has become a Filipino household favourite. According to the 2015 Brand Footprint study, Rebisco is the number ten food brand in the country, reaching 75.4% of Filipino households. 1. They are masters of metamorphosis: Shifting from manufacturing-led to brand-led innovation, evolving along with consumers and expanding beyond their country of origin. 5. Data-led intuition: An instinctive understanding of what will work in the market, combined with ongoing market research that provides unbiased, actionable consumer insights. Kantar Worldpanel is the world leader in consumer knowledge and insights based on continuous consumer panels. Its High Definition Inspiration™ approach combines market monitoring, advanced analytics and tailored market research solutions that inspire successful actions by its clients. Kantar Worldpanel’s expertise about what people buy or use – and why – is recognised by brand owners, retailers, market analysts and government organisations globally.